Poster Size 21 x 32 Inches. 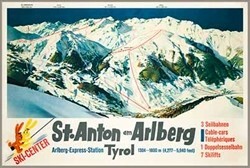 St. Anton’s Arlberg Ski Area Map is from years ago and therefore a vintage version of the possible ski runs available today. 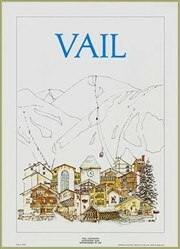 This vintage poster map is a great gift for those who have ever skied St Anton. 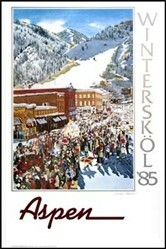 Plus it makes a wonderful addition to any ski wall decor! St Anton (or Sankt Anton) am Arlberg is a village in Tyrol, western Austria. Wikipedia reports that St. Anton has a population of c. 2,800. It is a prominent ski resort situated at 1,304 m above sea level in the Tyrolean Alps with dozens of Aerial tramways, chairlifts up to 2,811 m. It is well known around the world as the host of the Alpine World Ski Championships in 2001, and as one of the world’s most famous international winter sports and a summer resort. Skiing has a long history in this village: even before World War I, the first skiing teachers were employed at St. Anton. It is located in the Stanzertal and belongs to the district of Landeck. Many ski instructors from this area emigrated to North America in the 1930s, helping to popularize Alpine skiing on that continent. It is the home of Hannes Schneider, born in Stuben am Arlberg, Austria, in 1890. He is called the founding father of ski instruction. As a ski instructor he developed what came to be called the Arlberg technique or deep-crouch method) based on the snowplow, stem, and stem christy turns. This turn superseded the old-fashioned Telemark turn. Hannes served with the Austrian Mountain Troops in WWI. 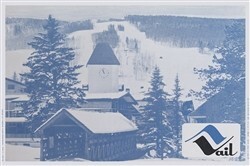 Then in 1930 was invited to Japan to teach 3,500 students how to ski, in four weeks time! He helped popularize skiing in the United States when he moved to North Conway, NH in 1939. Mt. Cranmore still honors him with a special race called the Hannes Schneider Meister Cup. His famous ski schools are represented here, as the competent teacher, aware of every bunny’s move.